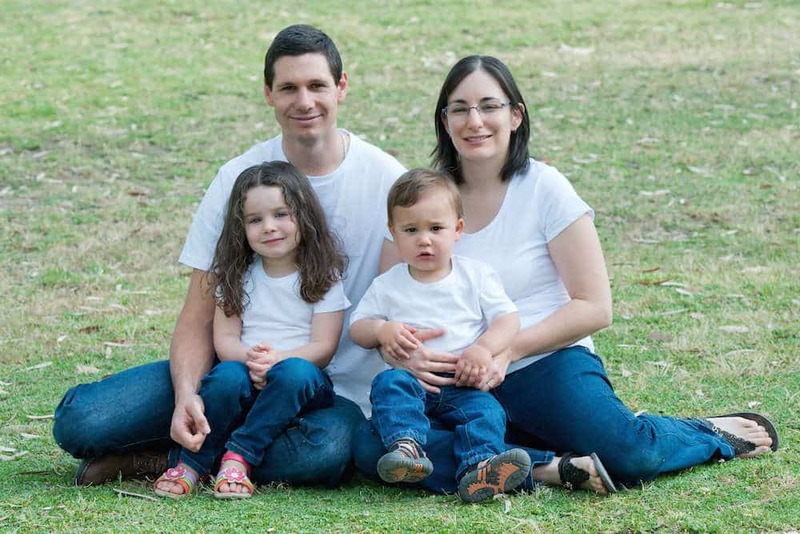 My name is Domenica Tootell and I am a wife, a mother, a learner, and a teacher who believes in the cycle of learning, growing and changing in order to be the best that I can be and ultimately making the world a better place. I currently spend my time being a mum to two gorgeous children, teaching in a primary school part time, and sewing as much as I can in the spare pockets of time that I can find here and there. 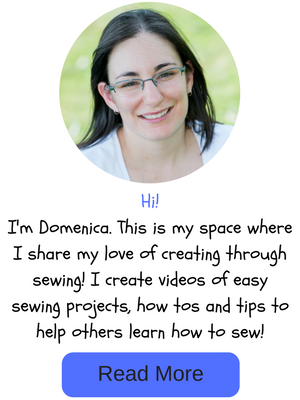 I’m a lover of learning and teaching and my aim with this website is to share as much of my knowledge as I can through the easy sewing projects, how tos and tips that I create for you all here. Sewing has so many great benefits! Over the past 10 years or so I have dabbled in sewing here and there and it is only until recently that I noticed that it is more than just a hobby. It is SO much more. Having sewing skills allows you to create your own unique, money can’t buy, gifts to give and it also allows you to sew something that serves a practical purpose for around the home. It allows you to express yourself through the clothes that you create – just the way that YOU want them to be. Sewing provides a great creative outlet – something we all need. Play and creating is still important as an adult! It just makes you feel so happy inside to see something that you’ve created. Best of all – you can make money from sewing. Whether that be from sewing and selling your little handmade goodies at craft fairs or online, being paid to do alterations for others, teaching others how to sew or blogging about sewing. There are truly many possibilities. What’s is Store for the Future of Easy Sewing for Beginners? My ultimate goal is to complete my Learn to Sew series of videos and start working on sewing projects, in video format, for you to practice your new sewing skills on. I want to connect you with talented and inspirational sewing artists from around the world. That’s the fantastic thing about the Internet! You could live in the smallest of places and still meet people who share similar interests and motivate you! You might like to listen to my podcast! I’m Here to Help You and Answer Your Questions! I’m here to answer your sewing questions or direct you to someone who could best suit your needs. I also love sewing tools and gadgets that make life easier. So if I’ve found one that makes sewing easier, I’ll let you know about it! Um, did I mention that I love buying books as well?? I have many sewing books and magazines and I’ll let you know about all the great ones. Promise!! Join in the Fun! Learn to Sew and get More Creative! What are YOU Waiting for? Sign up below by filling in you name and email address and then click on the blue button below to reap the benefits of this new challenge in my life.